Around the world, the consumption of English language media such as TV series, films and pop music has swelled with the advent of file sharing and other online distribution channels, and these activities now take up a significant amount of the leisure time of young people in many countries. The social networking revolution has also presented opportunities for language learners to interact with other users of English in informal settings such as Facebook and Twitter. 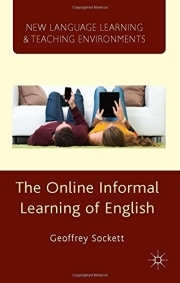 This book examines the private world of today’s learner to discern the extent of these phenomena, their effect on language acquisition and their implications for the teaching of English in the 21st century.